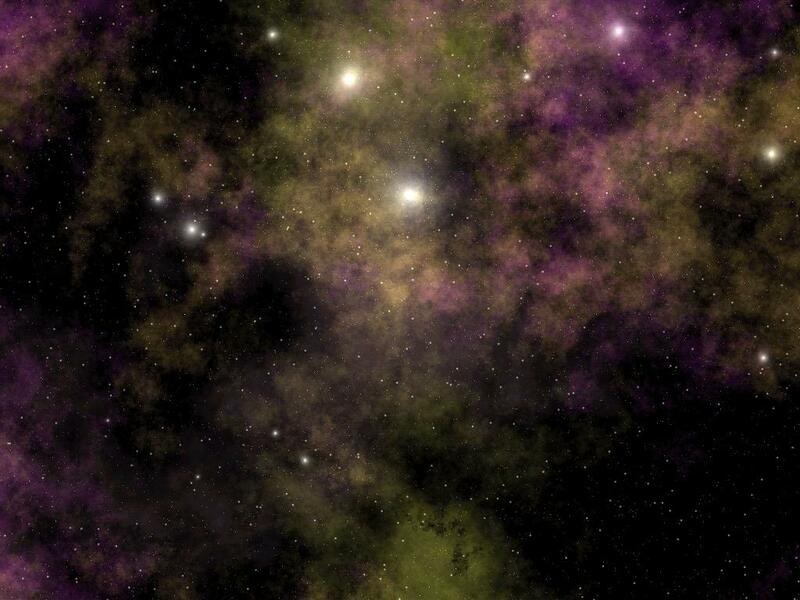 Cosmic Scenes is a stunning Cosmic wallpaper generator ! Cosmic Scenes is a stunning Cosmic wallpaper generator. Every day, hour, or less, Cosmic Scenes will create a beautiful and original 3D Cosmic image and install it as your desktop wallpaper. You can configure the visual aspects of this unique product to suit your taste. The images are created using the infinite variability of fractal mathematics. You'll never see the same image twice. Unleash the awesome power within your PC ! 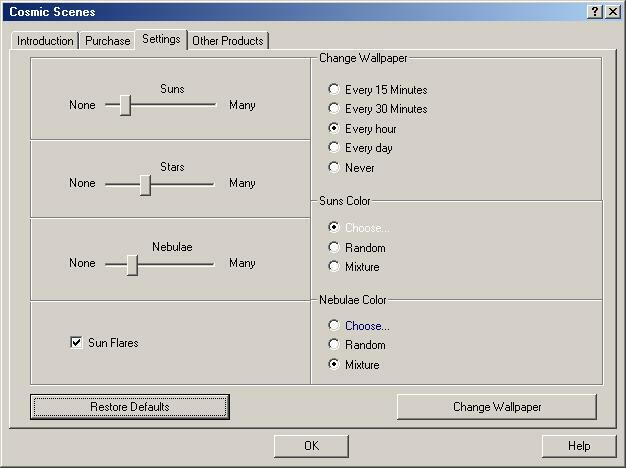 Automatically creates a beautiful new wallpaper image every day, hour, or less ! Uses almost no system resources except when generating an image (which takes just a few seconds). Fractal mathematics are used to create a totally unique image every time. You will never see the same scene twice . Does not fill your disk with pictures, as the images are generated using the awesome power of your PC and advanced 3D graphics technology. Creates wallpaper images at your native screen resolution, even 1600 x 1200 pixels . Easy access to a comprehensive help file. Easy access to a menu of options. Belarusian, Bulgarian, Croation, Czech, Dutch, French, German, Greek, Hungarian, Italian, Lithuanian, Portuguese, Romanian, Russian, Serbian, Spanish and Turkish translations now provided .